Top technology priorities revealed by IT decision makers across 850 companies, from five key industries in SD-WAN Edge global survey by Frost & Sullivan. Not surprisingly, SD-WAN is named one of top three technology initiatives. 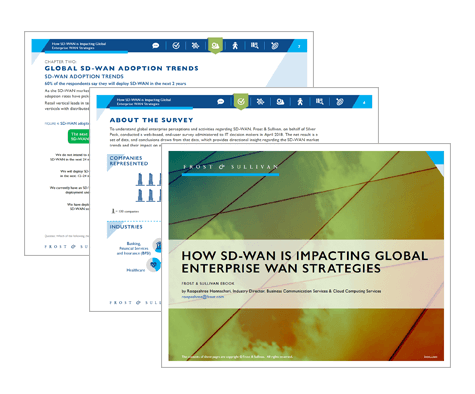 Read the Report and see what IT leaders are saying about SD-WAN. For a sneak peak at the survey results, take a look at our infographic. © 2018 Silver Peak Systems, Inc. | All Rights Reserved.